Carolina Reserve is divided into two neighborhoods, The Meadows’ 239 homesites and The Enclave’s 165 homesites. Though it’s not age-restricted, The Meadows at Carolina Reserve’s homes are perfect for active adult homebuyers with low-maintenance ranch-style floor plans. Developed by Lennar Homes, The Meadows offers 8 two to four bedroom home models ranging from 1,686 to 2,776 square feet of living space. 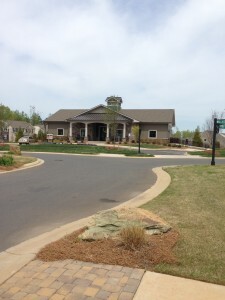 The Meadows at Carolina Reserve’s homeowners enjoy access to a recently built clubhouse. This 6,000 square-foot amenity center is open to all residents of the master-planned community Carolina Reserve and includes a multi-purpose room ideal for playing cards or hosting parties, a meeting room with a conference table, a catering kitchen, as well as an exercise room. 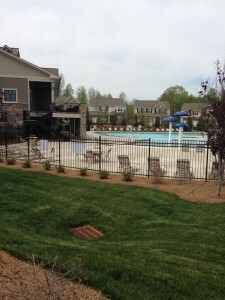 The outdoor amenities include a pool, splash area, playground, outdoor patio and miles of walking and biking trails. 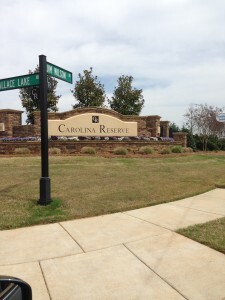 Some listings are in Carolina Reserve Enclave and others are in Carolina Reserve Meadows. Contact us to determine in which section properties are located. The data relating to real estate on this Web site derive in part from the Carolina Multiple Listing Services, Inc. IDX program. Brokers make an effort to deliver accurate information, but buyers should independently verify any information on which they will rely in a transaction. All properties are subject to prior sale, change or withdrawal. Neither Team Pogue nor any listing broker shall be responsible for any typographical errors, misinformation, or misprints, and they shall be held totally harmless from any damages arising from reliance upon this data. This data is provided exclusively for consumer -- personal, non-commercial use and may not be used for any purpose other than to identify prospective properties they may be interested in purchasing. © 2019 Carolina Multiple Listing Services, Inc. Date updated: 04/24/19 7:01 2019.